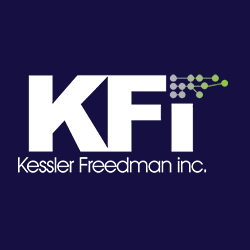 Kessler Freedman, Inc., offers social media setup and moderation for any of our continuing web development clients. Setup of social media accounts, including site linkage. Training, if necessary, on maintaining social media accounts. Coordination of social media feeds for email lists, web content and various social media outlets. Monitoring tool setup and reports of audience growth, participation and social media visibility. Recommendations on social media tools for managing activity. Recommendations on topic information based on site analytics reviews. We’ve been doing various pieces of this for clients for over a year but the time has come for us to offer it as a service level to cover the expanding needs of clients in this arena. If you’re interested in how it works and the costs, please contact us.